Rhinoplasty, commonly referred to as a nose job, is the plastic surgery most frequently requested by teenagers. Rhinoplasty can have a dramatic effect on the life of a teenager by helping to increase confidence and reduce insecurities, but not every teenager is a good candidate for the procedure. Before undergoing rhinoplasty, it is important that teenagers finish developing physically and reach the level of maturity necessary to handle the potential risks and complications associated with rhinoplasty. Learn more in our guide to teenage rhinoplasty. The two main motivations that drive a teenager to seek rhinoplasty are dissatisfaction with their appearance and problems with nasal breathing due to injury or a congenital defect. Teenagers are particularly sensitive about their appearance, as the adolescent years bring about rapid physical, mental and hormonal changes. Teens also tend to be especially susceptible to comments from friends and classmates about their appearance. When a teen’s large or disproportionate nose becomes the object of ridicule, it can greatly impact the teenager’s self-confidence and self-image. When rhinoplasty is performed to correct the appearance of a teenager’s nose and bring it into better harmony with the rest of their face, the teenager is likely to experience a dramatic boost in confidence, which can improve their overall quality of life. It is important to listen carefully to a teenager’s concerns when they voice unhappiness about their appearance and address their concerns before emotional strain becomes a lasting problem. Adults and teens alike can suffer from breathing difficulties due to a congenital nasal defect or as a result of an injury. Teenagers who participate in contact sports are more likely to suffer from broken noses that, left uncorrected, can result in breathing problems. Compromised nasal breathing can greatly impact a teenager’s life, especially if it disrupts their sleep or contributes to frequent infections and illness. Rhinoplasty can be performed to correct nasal defects so teens can breathe normally, thus improving their health and quality of life. In some instances, cosmetic concerns may be treated at the same time. While teenage rhinoplasty is hugely beneficial to many teenagers, not all teens are candidates for the surgery. It’s important to find a plastic surgeon who is highly experienced in performing teen rhinoplasty, as this surgeon will be able to determine if the teenager is a good candidate for the surgery. The surgeon should consider the following factors before agreeing to perform rhinoplasty on a teenager. Rhinoplasty should never be performed on a nose that is still developing. As such, age is one of the most important criteria in assessing eligibility for teenage rhinoplasty. In most cases, the nose is completely developed around age 14 or 15 for girls and 15 or 16 for boys. An experienced plastic surgeon will be able to determine if a teenager’s nose has finished developing or if the surgery should be delayed until the patient is older. 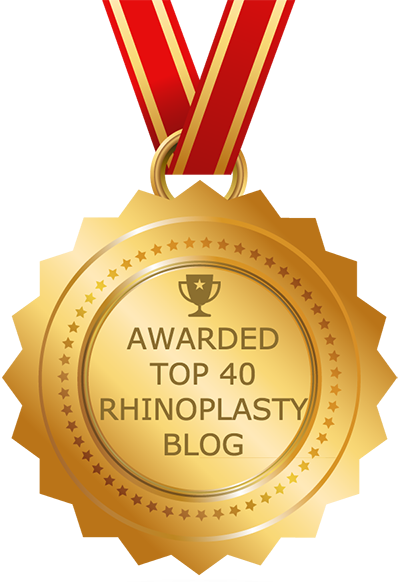 When rhinoplasty is performed too early, there is a risk that the nose will continue developing and produce an undesirable result that would require revision rhinoplasty to correct. In addition to physical development, the teenager’s maturity must be assessed. Rhinoplasty is a major surgery and teenagers must be aware of the risks involved and be able to adhere to post-surgical instructions. Of equal importance are the teenager’s psychological health and their motivations for requesting the surgery. Candidates should not feel pressured by family or friends to undergo the surgery, but rather desire a physical change for their own benefit. Some teenagers hold unrealistic expectations about the way their lives may change after surgery. In these instances, the plastic surgeon must either work to set more realistic expectations or insist that the surgery be postponed. Teens who are suffering from mental illness and other psychological disorders should not undergo rhinoplasty until their health has improved and their general physician has approved them for surgery. Once the nose has finished developing, there aren’t any major differences in how adult and teenage rhinoplasties are performed. The major concern in teenage rhinoplasty is adequately assessing the teen’s motivations for surgery and their psychological health before performing rhinoplasty. A dramatic difference between teenager and adult rhinoplasty, however, can be seen in the recovery period for these two patient groups. In general, teenagers recover more easily and quickly from rhinoplasty than adults. This is because the skin is stronger and more elastic during youth, allowing the face to adapt to altered nasal structures more naturally. Teenage rhinoplasty can be scheduled for summer or winter holidays, allowing teenagers to undergo surgery and return to school a few weeks later with no one the wiser. In general, most teens are able to resume all normal activities within two weeks, but will need to wait two months before participating in contact sports and gym class.